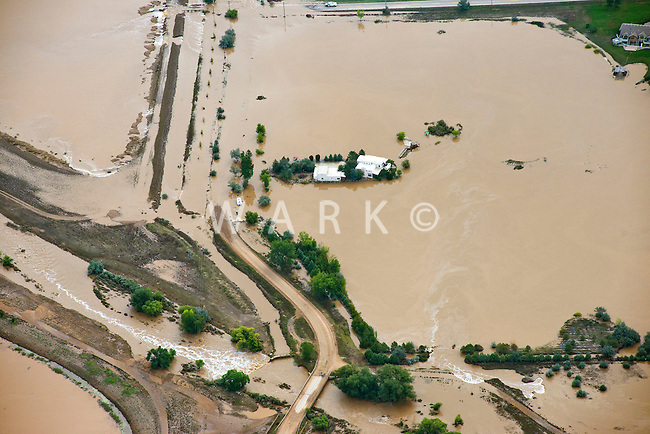 Flooding of Boulder Creek. County Rd 16 1/2. House surrounded by floodwater.